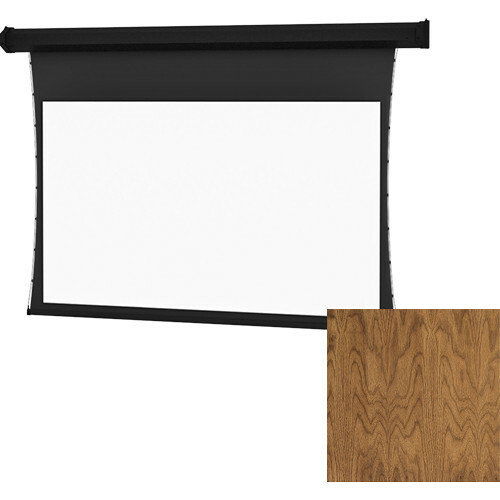 The Tensioned Large Cosmopolitan Electrol 92 x 164" 16:9 Screen with Da-Mat Surface (Natural Walnut Veneer) from Da-Lite is for larger venue installs, and supports wall or ceiling mounting. Da-Mat is a unity gain vinyl surface with a smoother surface than Matte White. It features a white surface for good color reproduction for environments with controllable ambient light. Da-Mat has a gain of 1.0 and a cone of 120°.